Operation: Digital Cookie is in progress. It allows each Girl Scout to have her own website for cookie-selling purposes to track her progress throughout the season. 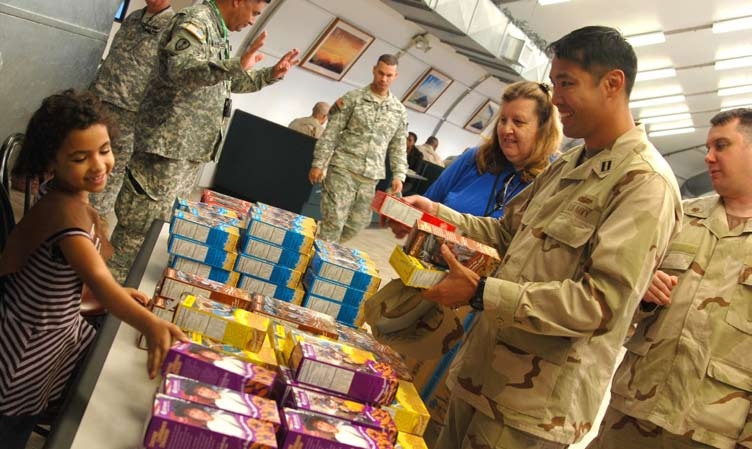 With this new program, the Girl Scouts of the United States of America expect to increase the $800 million already generated each year from cookie sales. The new digital platform begins this month in select areas, and will open nationally in January. This is probably the next best thing to the girl who sold Girl Scout cookies in front of a marijuana dispensary. The perks of the website are that the scout can email her friends and family to pay online for the cookies and have the treats directly shipped to customers. Another added bonus is that scouts can take the normal in-person orders, and with a new mobile app, can process credit cards lickity split. For those that fear for their child’s online safety, the Girl Scouts of the United States of America said that scouts under 13 years of age will be given an anonymous profile so that their name and contact information are hidden from the public. Through this program, scouts are taught business and financial skills and learn to be leaders. The cookie sales are just a chance for them to acquire new skills and learn to interact with people. I have the utmost respect for these girls that go out there each year and sell all these cookies. I’m not a very social person, and I know that this process takes guts, motivation and most of all, kindness. It’s very admirable. I know some people aren’t really into the whole technology addition, but they can still buy Girl Scout cookies the old-fashioned way. Starting next year, the entire country will have Thin Mints, Samoas, Do-si-dos and other classic Girl Scout cookies at their fingertips without ever having to leave home. What a time to be alive. C’est la vie.